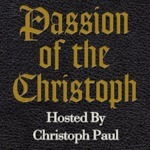 Christoph Interviews hip hop artist and Bizarro writer Grant Wamack. Grant talks about being in rap battles, Christoph advises him not to take Libdo Forte, BizarroCon, and if Spanish Girls or better then American Ones. It' pretty gangsta.